What makes us a top tutoring franchise? Tutor Doctor has a 95% Customer Love Rate! According to a third party research, 95% of our customers tell us they would recommend us to their family and friends! As someone researching top tutoring franchises, it may be important to make sure that the company has a respected brand but also has a great fan base! At Tutor Doctor, we understand that our culture and our values are organization-wide! We also understand that the magic ingredient to a successful private tutoring business is having a great relationship with your customers as well as finding the right tutors. A Tutor Doctor tutor is different. We have instituted a rigorous multistep recruitment process. Each candidate must undergo a reference and criminal background check and several interviews and tests before being accepted. Tutors are trained to offer the most comprehensive help to students and have a range of resources to draw from. 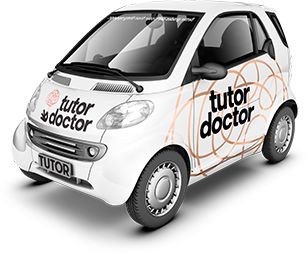 Tutor Doctor tutors are passionate, collaborative, consistent and tried and tested! Read some of the hundreds of current customer testimonials we receive daily from satisfied families and students! We've been committed to providing excellent services to our students since we began operating. The reason we are a top tutoring franchise and the fastest-growing in-home tutoring franchise in the world is we take a holistic and collaborative approach to learning. We have a comprehensive tutor-matching process that considers schedule, location, areas of support, personalities, and learning styles to make the perfect match! By working together, we can accomplish great things!